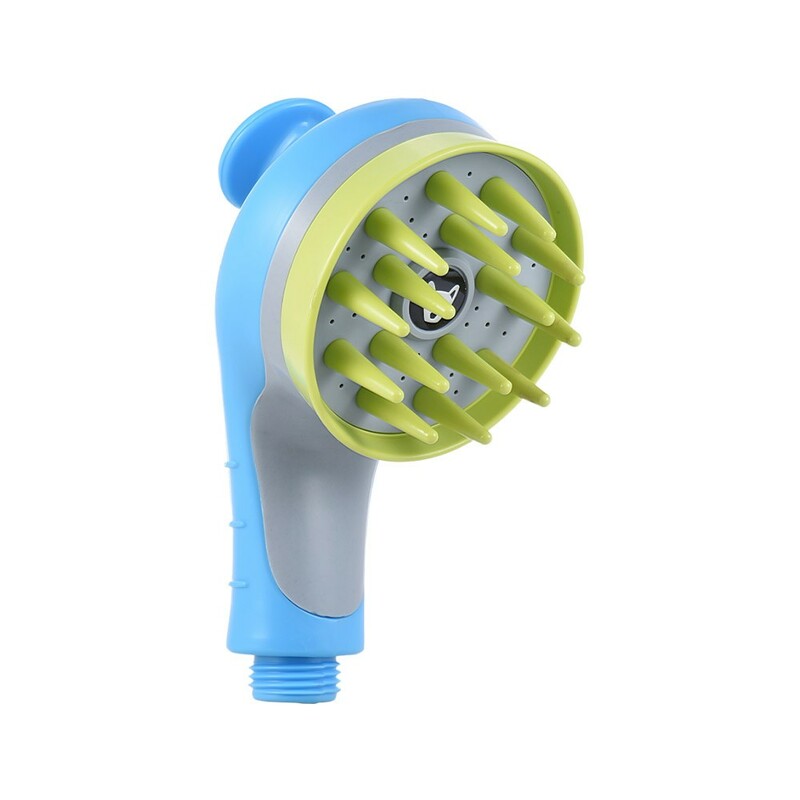 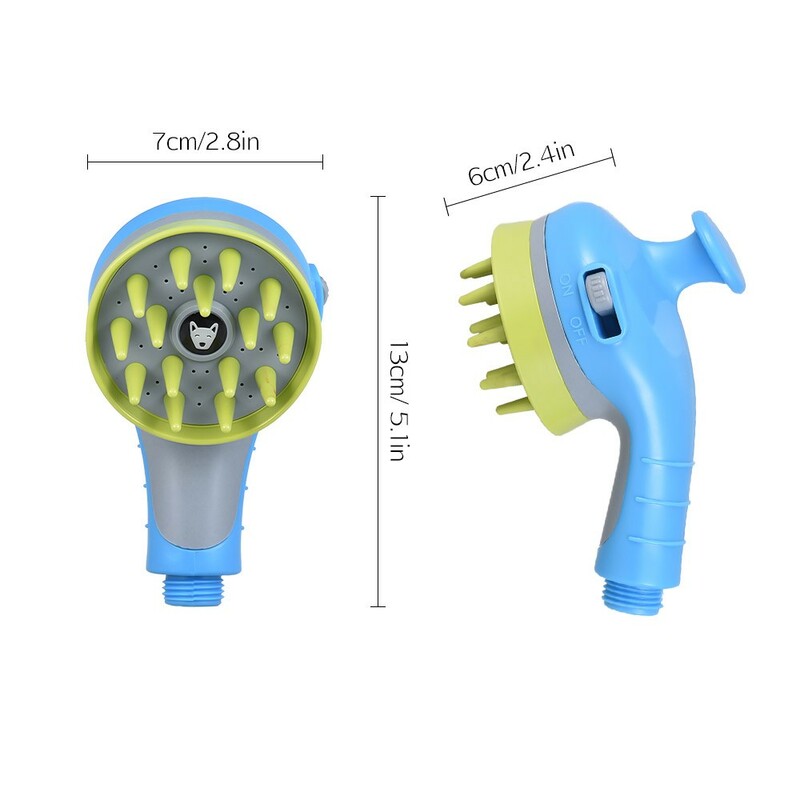 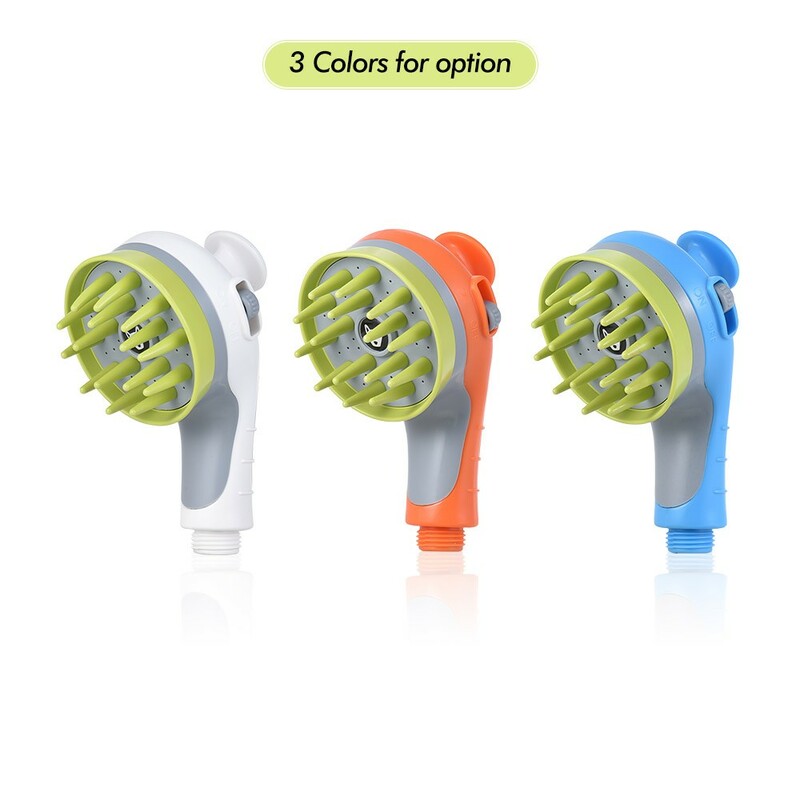 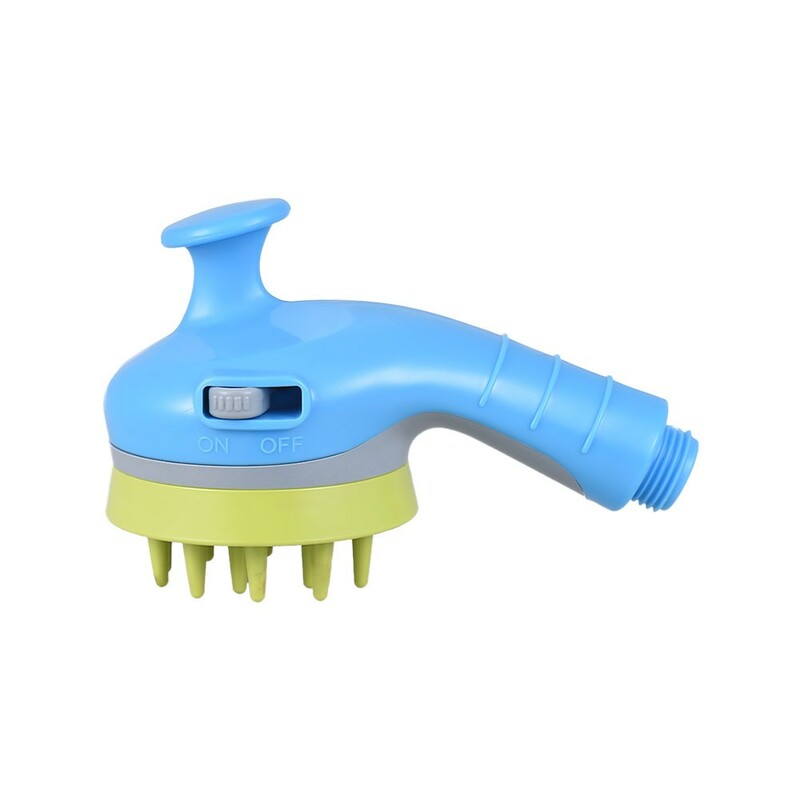 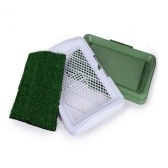 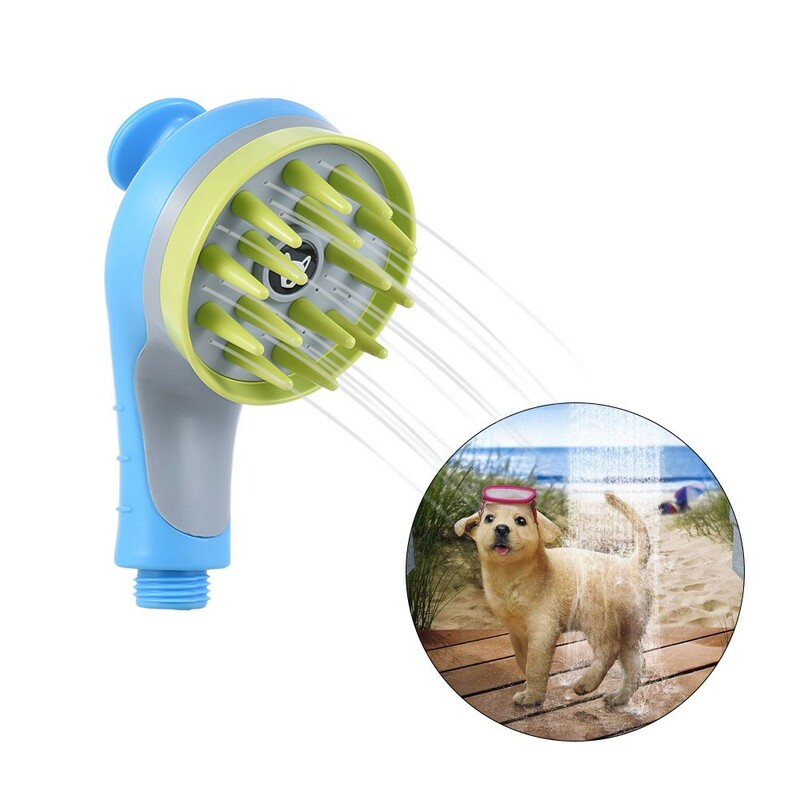 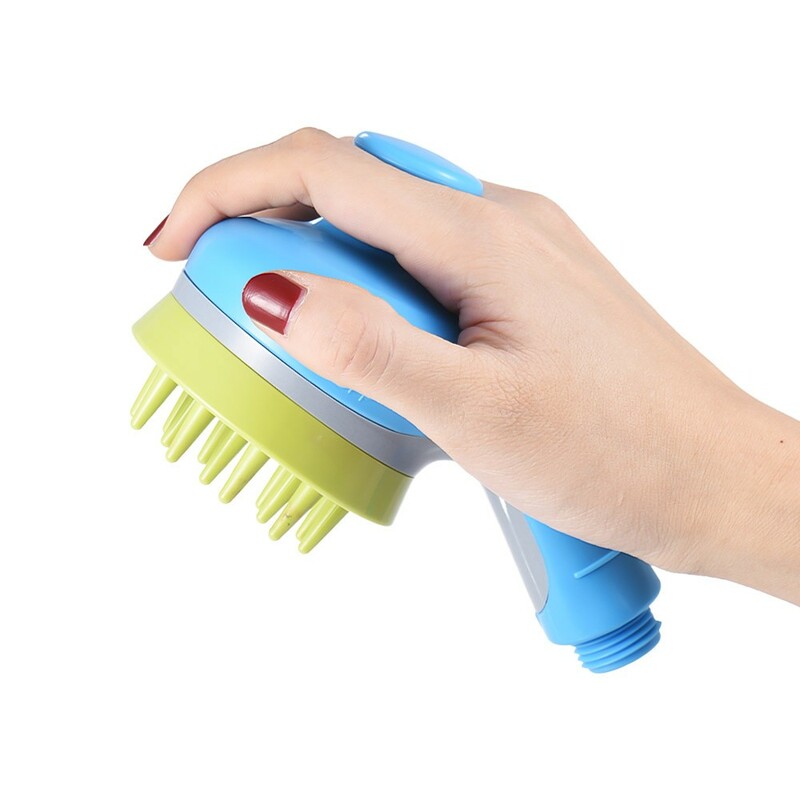 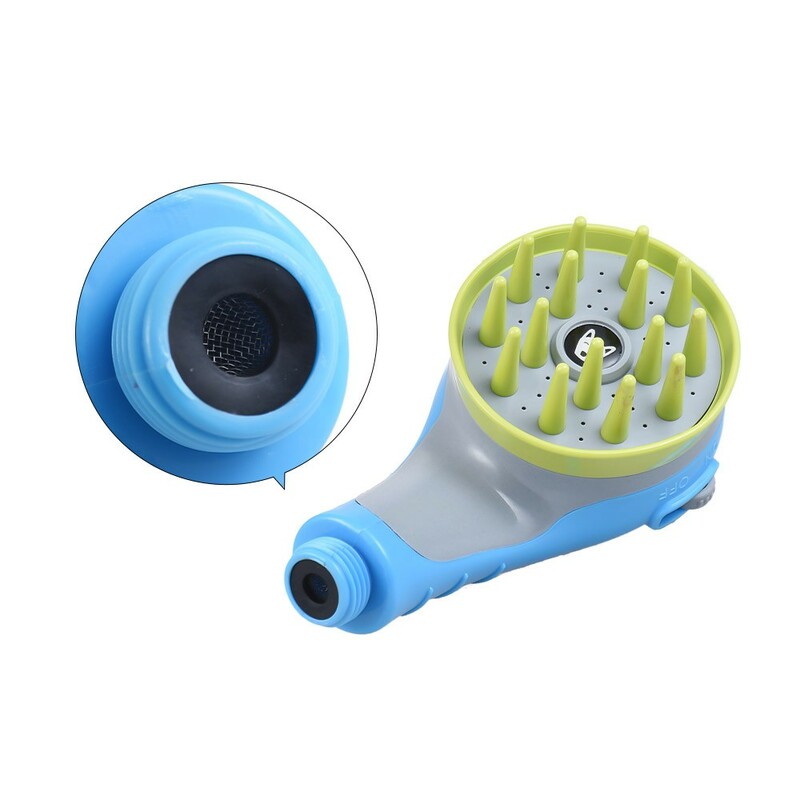 Eco-friendly ABS pet sprayer for dogs, cats bathing, grooming, water splash prevention. 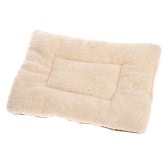 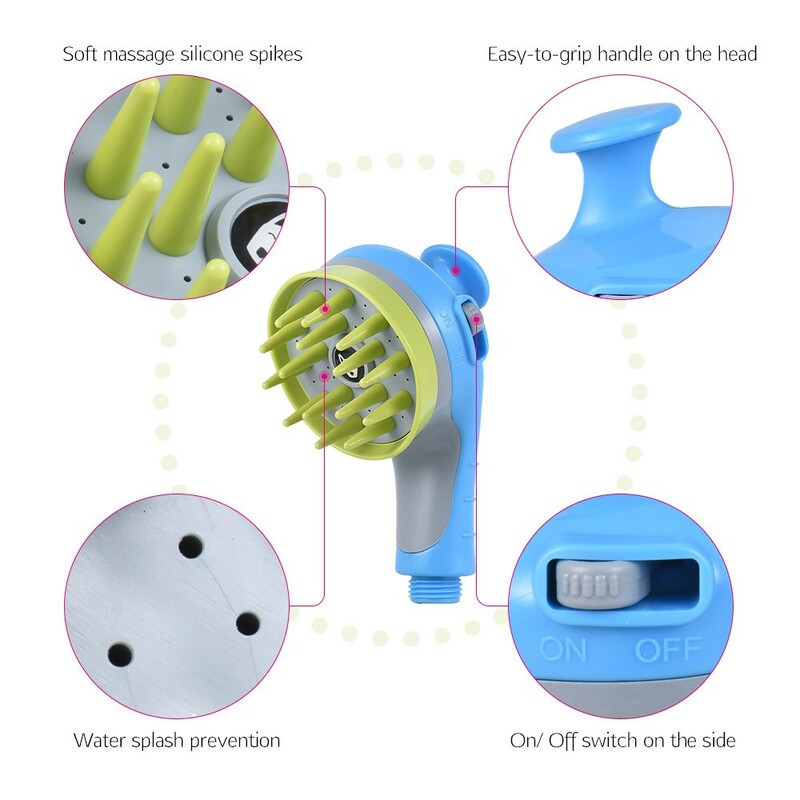 Soft massage silicone spikes to groom hair, also can give pets a relaxing massage. 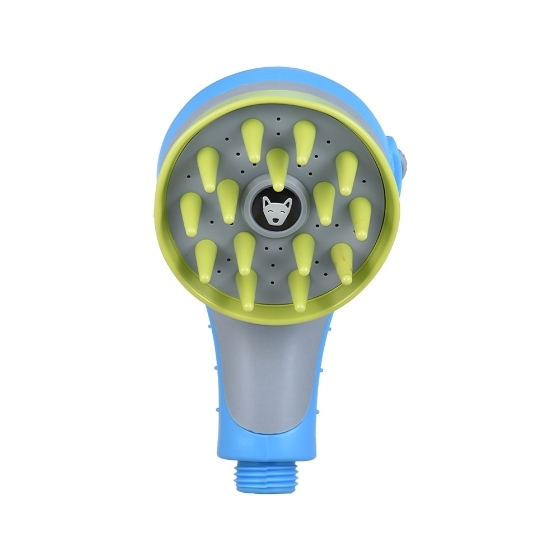 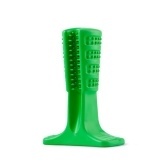 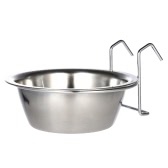 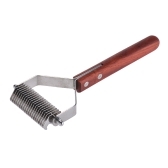 Easy-to-grip handle on the head, which is very convenient for controlling the water direction and massage strength. Designed with a On/ Off switch on the side, international standard connector easily to any type of shower hose. Deep cleaning prevents your lovely pets from skin disease and the comfortable feeling makes them fulling enjoy in bath shower. 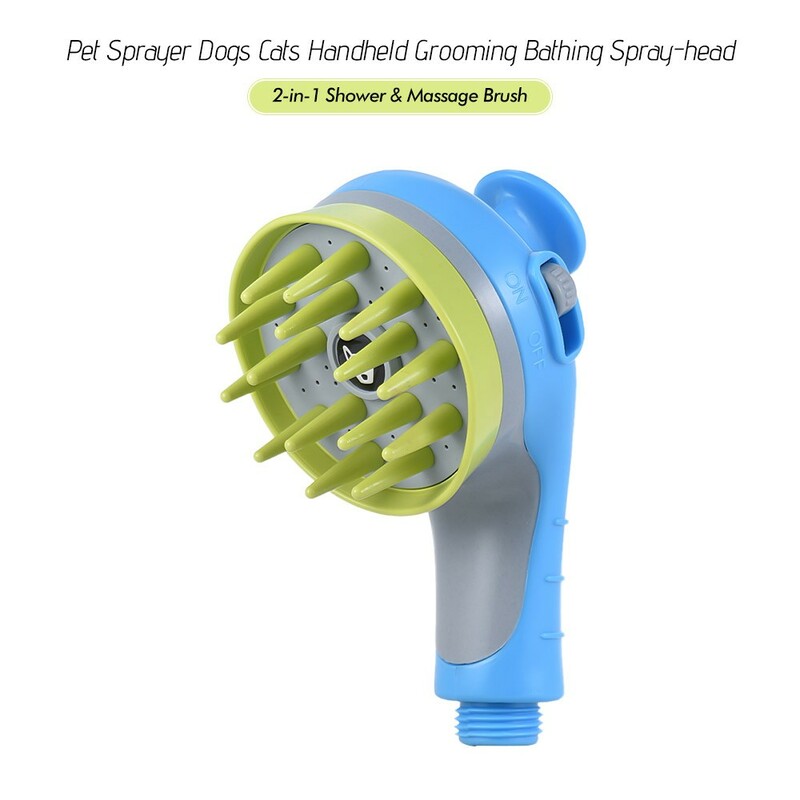 The shower hose is not included.